Help may be on the way. You are already there. 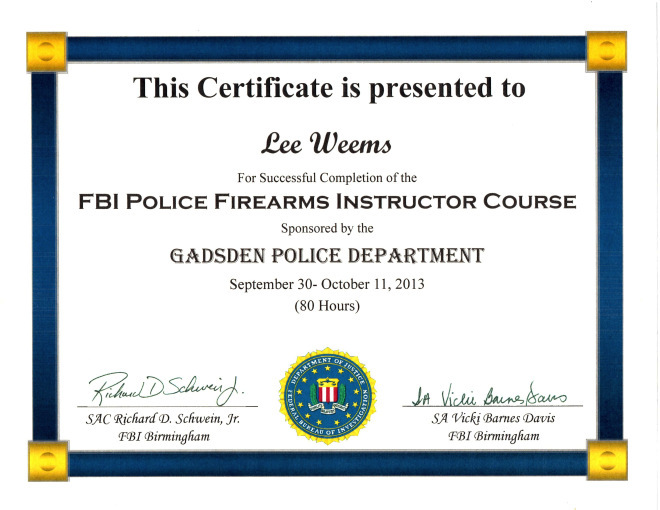 I recently had the opportunity to complete the FBI Police Firearms Instructor Course. In order to attend the course, candidates had to pre-qualify by successfully shooting passing scores on five courses of fire. Three of these courses were shot with duty pistols, one was shot with a patrol rifle, and the other was with a shotgun. I do not know the total number of candidates that applied for the class. On the day that I shot my pre-qualifying rounds, only eight out of 12 of us shot the requisite scores. Twenty-four students qualified and were enrolled in the class. Twenty-three students successfully completed the program. FPS alumni Doug, Adam, and Chris were the top 3 scores respectively in this weekend’s Rangemaster Advanced Instructor class.